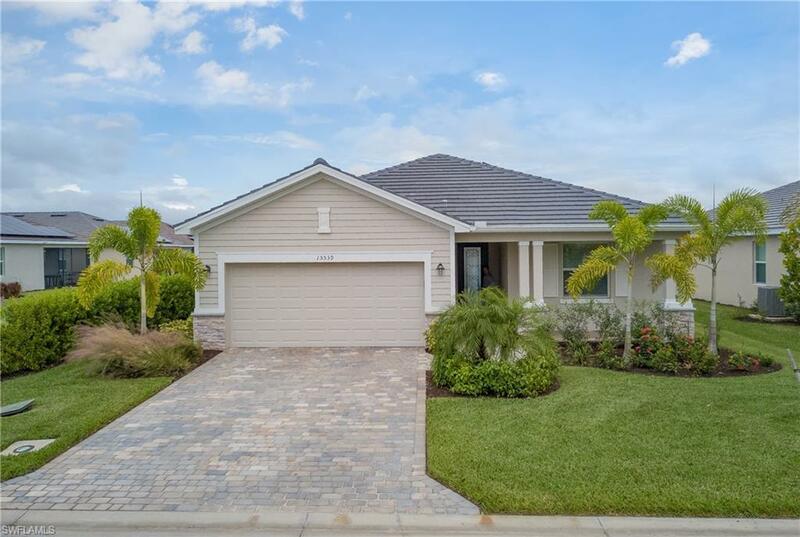 15539 Pascolo Ln, Fort Myers, FL.| MLS# 218073979 | Southwest Florida Residential Real Estate for Sale. Beautiful, 2018 built move-in ready, lake-view home in the community of Mirada. Just minutes to the beaches! This 3 bedroom, 3 full bath home is full of beautiful finishing touches. Granite and stainless appliances adorn the kitchen. The open-concept living area includes tile on the diagonal, high ceilings, crown molding, and a beautiful water view of the lake. Rest and relax in this master suite and enjoy the very spacious master bedroom, two walk-in closets, dual sinks, separate shower and large soaking tub. Extras include a Paver driveway and solar panels that drastically reduce the owner's electric bill. The HOA fee includes HD cable, 100mb fiber optic internet, landscaping/lawn care, exterior pest control and irrigation!